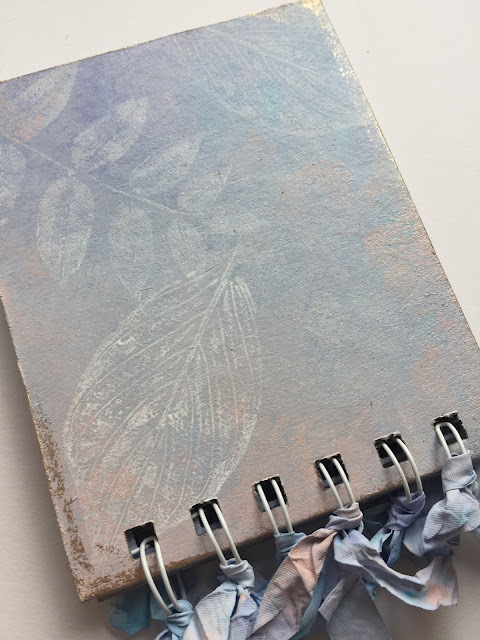 Time to find your zutter binding thingybob...they make a super quick binding that allows you to flip about your pages at whim! Grteat for shopping lists or something a bit more special like Claire has created for this post! Hi everyone, it's Claire Snowdon here with you today, and I'd like to share with you my spiral bound mini book. I created a mini stack of backgrounds using the scrubby paint technique that Leandra often uses - I used Snowflake, Blue Oyster, Wisteria and Blush Fresco Finish Paints. 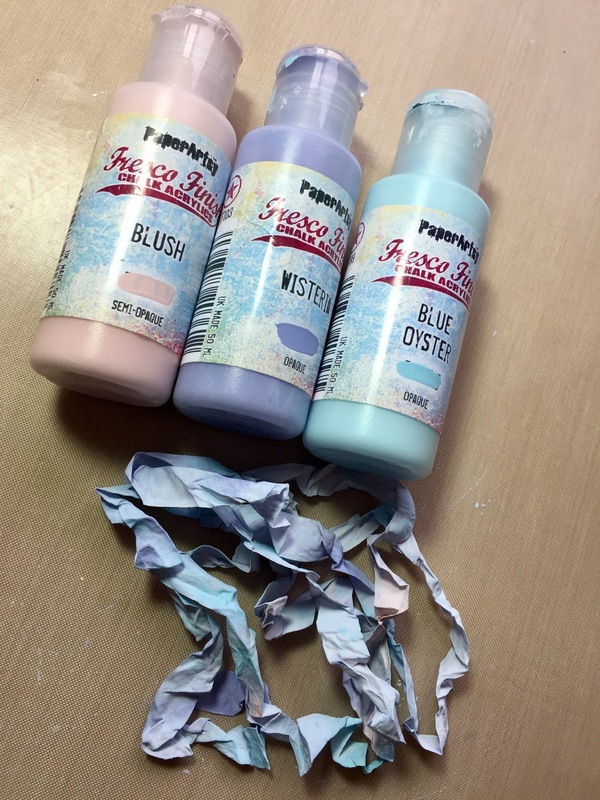 Blending them together whilst still wet to create a dreamy kind of look. 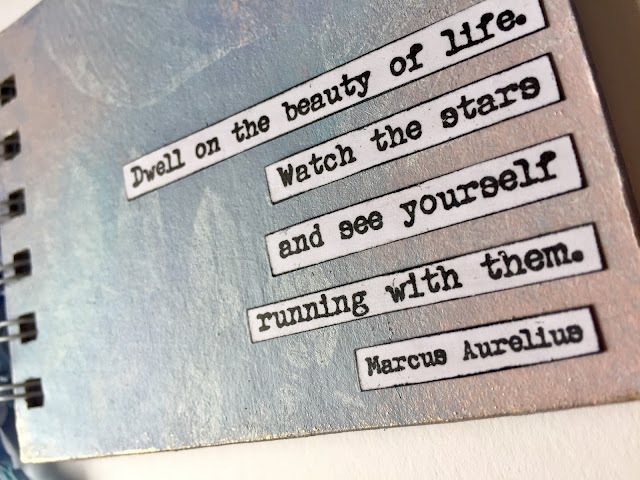 I choose all my favorite quotes from Alison Bomber's two new stamp sets (stockists here) - this was soooo hard as they are all fabulous! 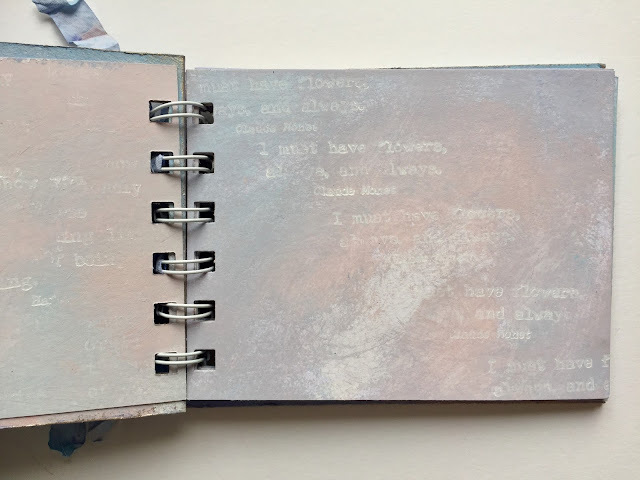 I used the quotes with Snowflake Fresco Finish Paint to create interest in the pages - this also means that when I want to create a mini page in my book I don't have to start from scratch and there is no fear of the blank page! EAB01 and EAB02 can be found here. I varied the stamping using less paint in some areas to vary the look of the background pages. The covers are two pieces of greyboard cut to size, which were painted in the same way. I used Lin Brown's stamps (ELB29 and ELB30), again stamped using the same colour paints, to decorate the front and back covers. I added my most favorite quote from Alison's stamps then gave the front and back a coat of Satin Glaze to help protect it. 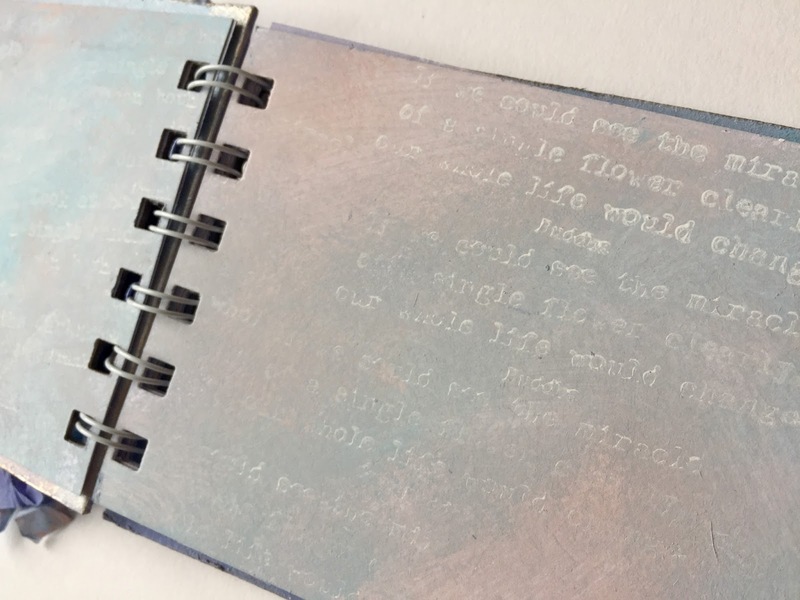 I added some White Fire Treasure Gold around the edges before binding the book using my cinch machine. I felt that the bare spiral was a bit boring so I took some white ribbon and coloured it using the same paints to create a coordinating decorative finish. 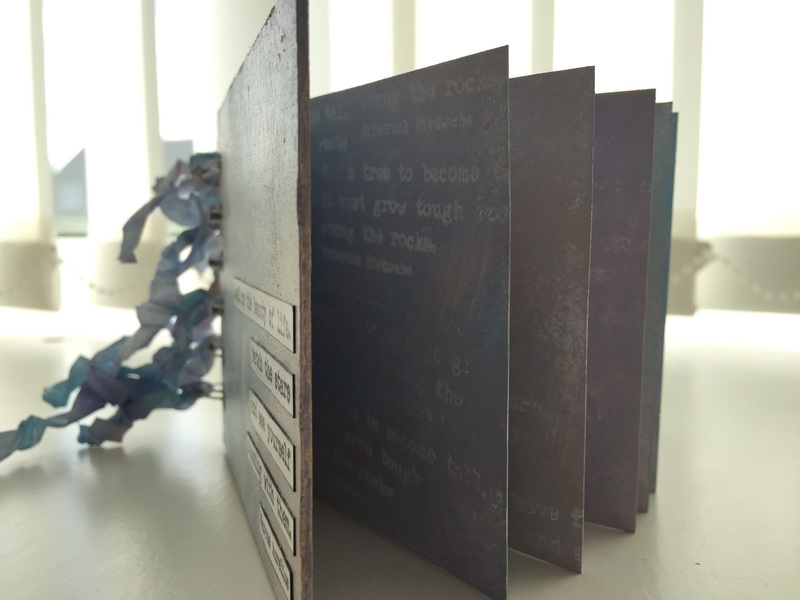 The ribbon was cut up and tied to each of the spirals - I love the extra romance it adds to my whimsical book! 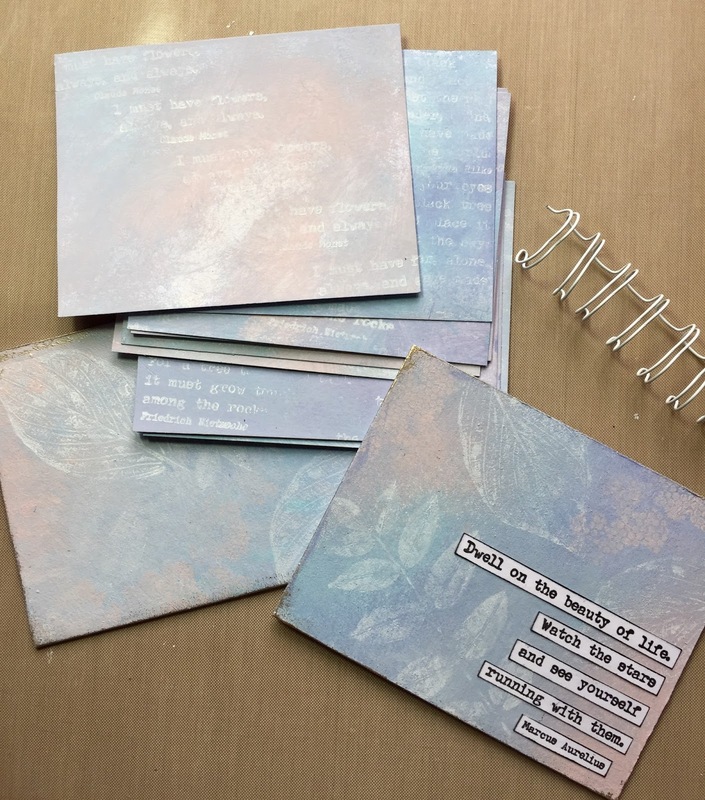 So there is my mini book all ready for journalling.....I love the fact the colours are muted but that the pages are not blank so not daunting to start creating on. Alison's new stamps are wonderful and can be used for both background texture and interest as I have here, but also for the main focal quote on any project. Gorgeous, gorgeous book, Claire! Love the pale colours and tone on tone stamping. 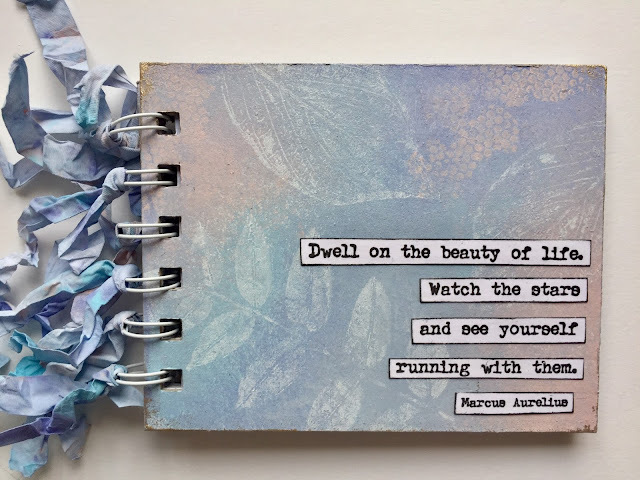 This is so beautiful, Claire - the delicate colour palette is really pretty, and I love the white stamping of both the text and the leaves. The cover quote looks fabulous with those strong borders. I'm completely with you on the whole getting-rid-of-the-blank-page syndrome, and this should definitely do the trick. Lovely! Ooh Clare, what a treat. Only just sat down to enjoy this post. I love these colours. They are so soft and calming. I really love the stamping. Those are some of my favourite images. It's very compelling - drawing you in to want to fill it with words!! Wonderful. So soft and beautiful, a great backdrop for journaling a bit! Love this! Gorgeous book Clare. Love those background pages. This is stunning Clare and I just adore the soft, gentle colour blend you have chosen. 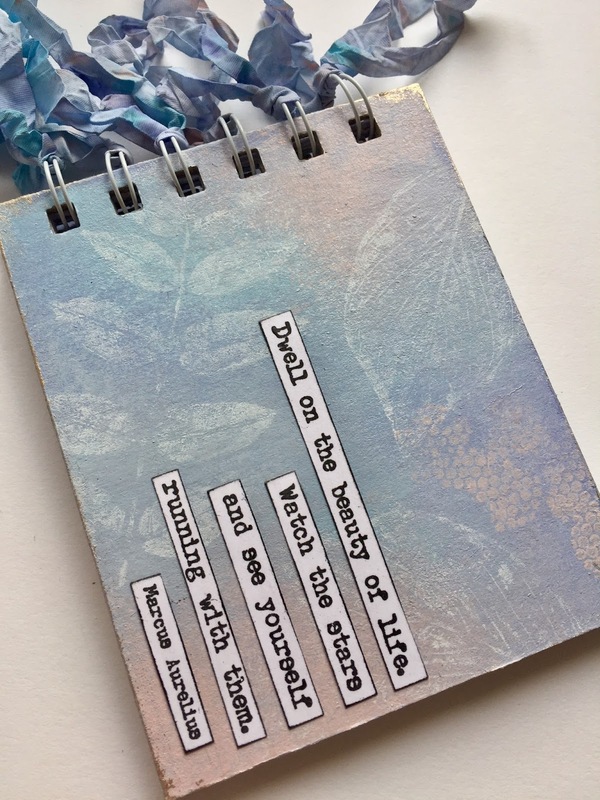 Lin's last stamp releases contain some of my favourite PA stamps and coupled with Alison's gorgeous selection of quotes they are a match made in heaven......you have certainly used them to perfection here!